Aadhaar Card had 12-digit individual identification number that is being issued by the Unique Identification Authority of India on behalf of the Government of India. Aadhaar number will serve as the proof of identity and address across the India. Any person of any age or gender, who is a resident of India and satisfies the all verification process set by UIDAI can enrol for the Aadhaar Card. Each individual in India needs to enroll only once for the Aadhaar Card which is free of cost in India. 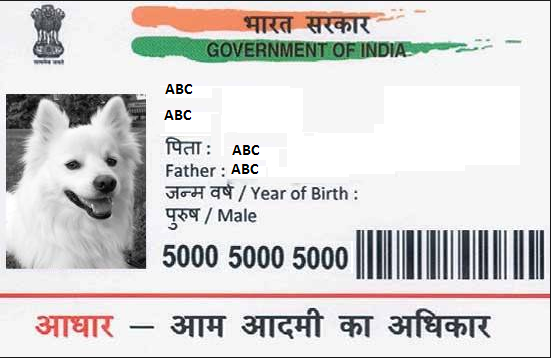 Aadhaar Number will be a unique number for every individual and It will be remain valid for the whole life. Aadhaar number will help to provide the access to services like - banking, mobile phone connections and other Government and Non-Government services in due course. - Easily verifiable in an online, cost-effective way. - This is unique and robust to eliminate the large number of duplicate and fake identities in government and private databases. - Aadhaar number had random number that is being generated,avoids of any classification based on caste, creed, religion and geography.